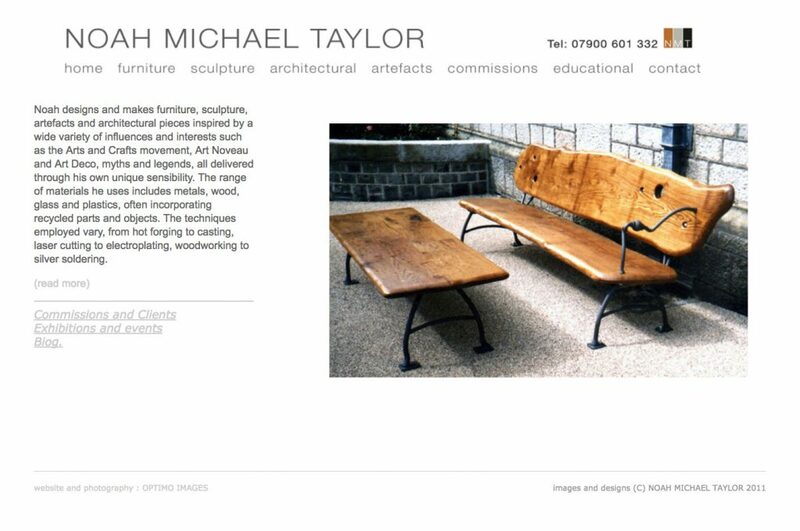 Seats and Benches – Hatherleigh, West Devon Borough Council; Family Seats – Cycle Network, Tavistock Devon; Big Blue Wave Bench – Mountbatten Centre, Plymouth; Public Seating – Falmouth Moor Regeneration; Public Seating – Moretonhampstead Development Trust; Parkland Seating and Tables – Bovey Castle Hotel, Dartmoor; Memorial benches – Hooe School, Plymstock, Devon. Barbican Theatre Sign – Plymouth; Greenlink Signage – Devonport, Plymouth; Venus Company Signage, lighting and gateway – Newquay, Cornwall. Wind Giro – Ernesettle Community School; Dragon disabled access rampway – Exeter Arts Centre, EQUATA; Scott Business Park Entrance Gates and lighting – Plymouth City Council (PCC); Illuminated Gateway Columns – Gun Wharf, Plymouth, Devon and Cornwall Housing Association (DCHA); Cannon Gateway Feature – Gun Lane, Plymouth, DCHA. Art Furniture Warehouse – Camden, London; Starry Gazy – Mousehole, Cornwall; Tregeare House Estate Gates – Cornwall; Whitehawk Way Gates – Brighton, Chester and Diocesan Housing Association (CDHA); Sun and Moon Gates – Plymouth Hospitals NHS Trust. Doorpulls – Zoo Rooms, Plymouth; Doorpulls – Barbican Theatre, Plymouth. Bronze Plaques – Saltash Townbright Project; Bronze Plaques – Elburton School; Two Trees – summer school youth project, Plymouth; Saltmill Millennium Park – youth workshops; Fibonacci Spiral Green Wall – Plymouth Partnership For Progression (P4P); Desert Island Bench and Funky Fish – Creative Partnerships and Plymouth College of Further Education. Artwork Studies: Scott Hospital Site – Plymouth (with SBD Associates) PCC; Furze Park (as ESP Associates) – DCHA, Plymouth. Miscellaneous: Tree of Life – John Daniels Centre, Penzance, EQUATA; Cadeucus Finial – Isles of Scilly Health Centre; Moor Dragon cycle stand – Cycle Network, Dartmoor; Jungle Railings – (DCHA) Plymouth; Candleholders and fittings – Saltash Catholic Church; Archimedes Screw Ball-run – Plymouth Hospitals NHS Trust; Desert Island Sandpit – Plymouth Hospitals NHS Trust; Giant Octopus, Giant Starfish, Mermaids Grotto, Sea Floor Disco – Plymouth National Marine Aquarium. Click on the image to see Noah’s previous website. NB website will not work well on mobile devices.